I am a translator and terminologist who graduated from the Institut Supérieur d’Interprétation et de Translation (ISIT) in 1999. Having created a translation department for a company called Technis, I then went on to found Traductis in 2004. After I was contacted in summer 2010 to provide daily proof-reading for translations in the video game sector, I developed a growing interest in editing, which has gone on to become a significant part of my activities. At the same time, some of my clients began to ask me to provide them with language combinations other than the ones that I myself worked in, and I began to build up tailor-made teams. My colleagues always translate into their native language and are people with whom I have built up a working relationship over a number of years. Thanks to their input, I can now provide the flexibility of an external language service and the advantages of a team that you know and can come to rely on. From the very outset of my career, I chose to concentrate on technical fields. This has given me the opportunity to work in different sectors and provide me with variety that I find enjoyable in my work. I also have a particular interest in new technologies, video gaming, immersive technologies, energy and the environment. “I worked with Agnès Bousteau as part of the translations of videos relating to the E3 Electronic Entertainment Expo in the USA. When I originally contacted her, I was very impressed by how quickly she was able to provide me with a quote. She was sent text files to translate every day which we then integrated into the videos, and without visuals, they were not always easy to understand. Agnès was particularly proactive, asking questions whenever she was in any doubt as to the meaning that was required. As a consequence, her work was of exceptional quality, both in terms of style and substance. Every detail was important and there was no room for text that was ‘more or less’ right. She always made sure to get across the meaning of what was intended as well as the content, the context and the universe of video games and interviews. 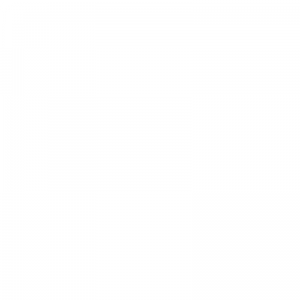 Agnès is extremely reliable and professional. Her work was always delivered within the pre-arranged deadlines, despite the fact that at times, she received the texts late due to delays from the end customer. I have been a member of the SFT since 2017 and of the ATA since the beginning of 2018. 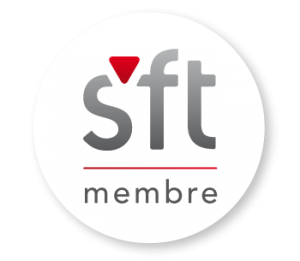 The French Society of Translators (SFT) was founded in 1947 and is a professional union which protects the interests of translators and interpreters and promotes translation-related trades in France. The SFT is a founding member of the International Federation of Translators (FIT) and a member of the French National Union of Liberal Professions (UNAPL). Founded in 1959, the American Translators Association (ATA) is the largest association of translators and interpreters in the USA, with over 10,000 members spread over more than 100 countries. Its aim is to promote translation and interpreting-related trades and to encourage the further professional training of translators and interpreters.